THULANI SENIOR GERMAN SHEPHERD RESCUE (TSGSR) received its official wings in 2017. Originally an idea that was developed as a special needs sub-Program under a breed-specific rescue, the need was bigger than could be accommodated by a special needs sub-program, so growth was needed. We have grown and reached millions with our story. Our seniors and others in need experience change when we enter their lives, when they lose their homes by no fault of their own. We have grown because of this need and now it is time for us to undergo structural changes in our new organization so that we can do more, save more……..THULANI SENIOR GERMAN SHEPHERD RESCUE – A Legacy of Helping the Most Vulnerable! Most would be surprised to know that TSGSR didn’t start with an aging senior, but rather a puppy, three months old, badly abused, mistreated and neglected. Despite all this he was happy, loving and affectionate and just wanted to please. The Thulani team brought him into their program after lining up a foster home, with the intent to find an adopter. What we found next sealed the fate of this puppy as well as the road to better things…..in particular–the founding of Thulani Senior German Shepherd Rescue. The puppy had a level 5 heart murmur that further analysis indicated would be fatal in just a few months. We called the prospective foster to inform her of his condition and that we would not be bringing him into the program after all. She was devastated as were we, but she called back in a few hours to tell us that she and her daughter would take him and would give him the best life she could for whatever time he had left! That dog was Thulani. Over the next six months we digested what we had seen with Thulani, did some preliminary canvassing of other fosterers, and realized that there are a significant number of people out there who are incredible animal advocates and animal lovers, and who are emotionally strong enough to take in a dog with a limited life expectancy knowing full well that heartbreak will follow in a short time. These are people who can enjoy the dogs ‘for the moment’ and bear the grief that they will shortly feel in order to give the dog a quality life for whatever time it has left. Thulani was born in mid-2009. During the next two years we helped 20 dogs from the greater San Francisco Bay region, with medical conditions ranging from terminal heart disease, severe degenerative myelopathy, advanced cancer, and simple old age. We learned a lot in the first two years of our ‘experiment’. Our supporters contributed enough monetary support that we realized the program could be financially sound. We found a number of Veterinarians that were willing to work with us and give us discounts, such that we were confident we could obtain the best medical coverage. And we found enough willing fosters and adopters to accommodate the dogs we anticipated saving. So all elements were in place. Although our initial area of concentration was the San Francisco Bay region, by 2012 we found that there was a real and widespread need in all of California and even into areas of Nevada. Our goal at this time was 20 dogs for the year, but we started out in January saving 5 dogs in need, so we knew we had to set our sights higher. In 2013 and 2014 we were growing by leaps and bounds. We realized we were accomplishing something important but that we had just been touched on the top layer. We were now saving seniors and terminally ill German Shepherds all over the state of California. We had established a bigger foster network, volunteer network, shelter contacts, as well as general awareness of what Thulani does, which gave us a bigger adopter network. We thought we would save 20 dogs in 2013, but actually surpassed that by saving 31. This was bigger than we could imagine just 4 years earlier. The biggest surprise to us was the support of the public. People were responding with messages of encouragement and support from all over. Fosters were contacting us asking how they could help. Donations kept coming in. The public reaction was of amazement and enthusiasm for what we were doing. So, we were going to do more! These two years of learning and growing helped us to continue to grow our organization and reach more dogs in need. We worked closely (and continue to do so) with the Grey Muzzle Organization to promote and encourage practical ways of helping senior dogs, while they were providing valuable grants to support our work. 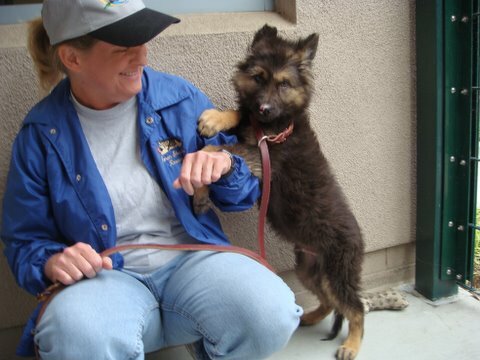 We formed a relationship with Miracle GSD Network that helps so many German Shepherds make it out safely and provides rescues with fundraising to get these dogs the care they need, so they can be placed in a loving home. Our hope was to help establish similar programs in the rescue world so that more Seniors could have caring, loving final chapters. In 2016 with the help of an Illinois based volunteer we started another experiment, Thulani Midwest. This is how our program started in California, with an idea and a need. It’s in the early stages and will need to make legs of its own, but it could be the start of bigger things for all of Thulani, and the Seniors they save. Fast forward three years. That’s where we are now, in 2017 and amazed at how much all we have done. We help save almost 70 dogs a year, both seniors and those terminally ill with no hope of ending their time in a loving home. We have partnered with even more shelters, veterinarians, other rescues in order to make the Freedom Rides happen. Social Media has been a different launching pad for us in the past four years and has gained us more momentum. We reach supporters all over. 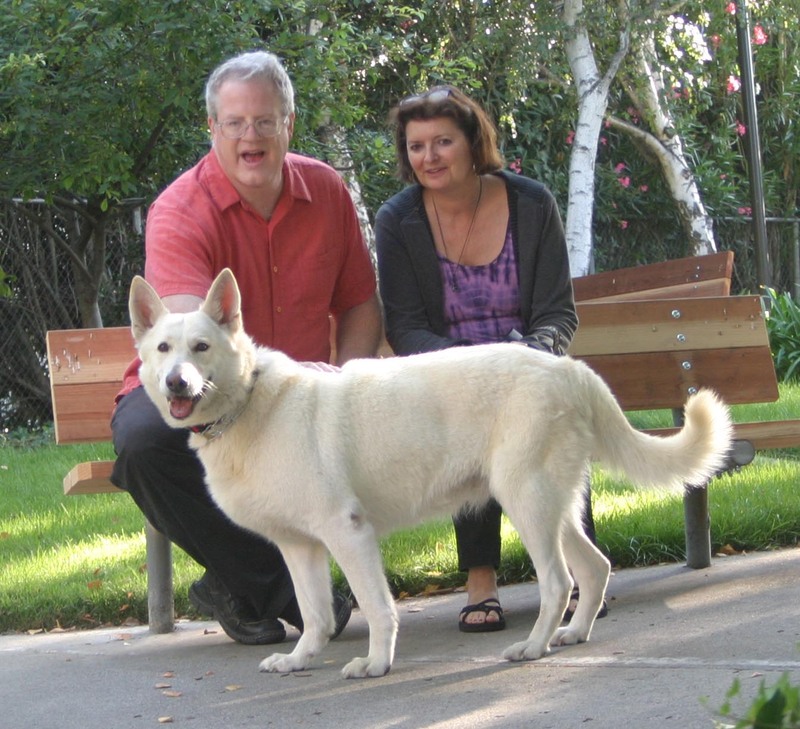 This has provided us with a bigger network of adopters, fosters, volunteers and donors. They continue to boost our growth and our cause in Helping Save the Most Vulnerable – a Legacy that continues. This work cannot be done without the continued support of all of you…..Please help spread our story, help us save more lives, help us give the final chapter these Seniors and Terminally Ill German Shepherds deserve. Hi. We feel your Thulani program is most remarkable and we envy a rescue which has such a highly developed fostering resource to receive these dogs.. We formerly fostered with GSRNC and now are with Golden State German Shepherd Rescue due to our location. Thanks for your encouraging comments, Bob. In fact, one of the goals we are working toward is to encourage other Rescues to set up similar programs, by demonstrating not only that such programs are viable, but that they are not all that difficult to run. We have a FAQ document that we send to other Rescues and Shelters that inquire about the Thulani Program. Working with people willing to provide a permanent foster home for our Thulani dogs is one of the most satisfying projects I could have dreamed for. The foster homes do not volunteer for this selfless act with resignation or defeat. They volunteer with excitement and enthusiasm. They are thrilled to have these precious animals in their lives. The Thulani Program works because people help. Please post this information on your Facebook page so more people see what a difference can be made by opening hearts and homes to dogs. Wonderful work that you do! Hope to be able to open our home to foster a Thulani gsd. For now, it is good that we have been made aware of Thulani and the heartwarming help you give to older and ill gsd’s. They so deserve to live out their years with dignity and in a loving, caring home. Will pass on your good work to others – sharing means a lot to Thulani canines! Thank you and hugs to Thulani canines! Here’s what I think: Tne Thulani dogs don’t die – they change color, personality, and name. Miss June is dead; long live Miss June. June T. reached the end of her life today. She’ll be coming back to me soon as the Lady Margaret of Thueland, anelegantly gblack in color, a bit short in the ears, and a healthier 25 lbs. heavier, and she may stay longer than when she was Miss June. More important than her first name is her last name : T. for Thulani. All the people June met on our walks now know a lot about the Thulani program, and they think I’m wonderful. Their praise falls far short. The wonders are, first, the dogs, then the finders, the health bringers, the discounting vets, the many fosters, volunteers, and financiel supporters. June T./Peggy T. was and will be the charmer who gives me the opening to be the messenger to other people about the program. She’s the biggest angel of us all – she’s totally honest (except when she’s channeling Talullah Bankhead), courageous, and faithful (cf. Talullah reference). Who knows how she will be as the Lady Margaret? Who can bring more delight than the Thulanis of this world? Thanks Thulani program. Thanks to all of you who make it possible for me to have had my June, and to welcome Peggy T. (don’t call her that to her face unless you are an intimate friend, or have a large bag of treats, or both,), She does prefer, the Lady Margaret of Thueland, or in a very few cases, Lady Peggy. She is, of course, not one to be so discourteous as to correct you, but it does hurt her deeply when proper recognition of her title and station in life are not acknowledged. Peggy T, isn’t dead; long live the Lady Margaret of Thueland. Well done for the work you are doing.